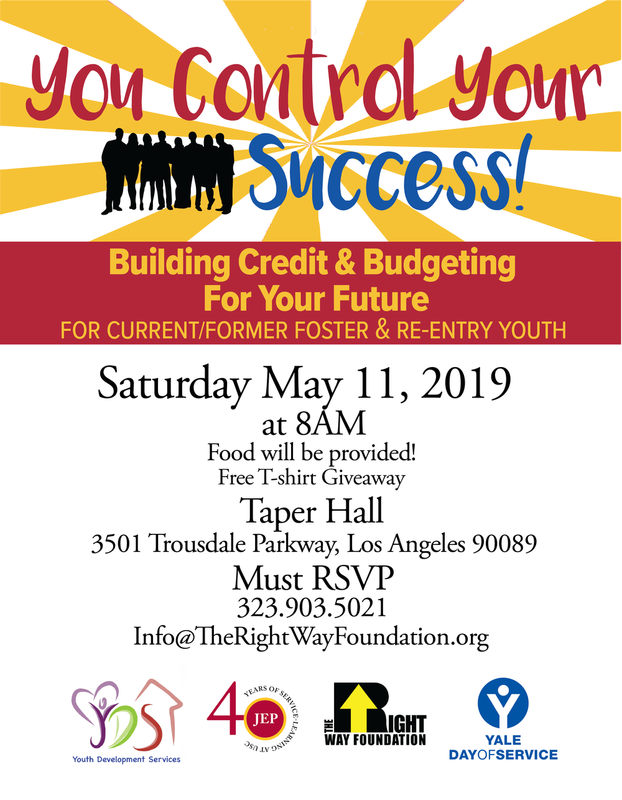 Join RightWay Saturday, May 11, 2019 for You Control Your Success and gain credit building and budgeting skills for your future! Current/former foster and re-entry youth only. Food will be provided. Call (323)903-5021 to RSVP or email info@therightwayfoundation.org.